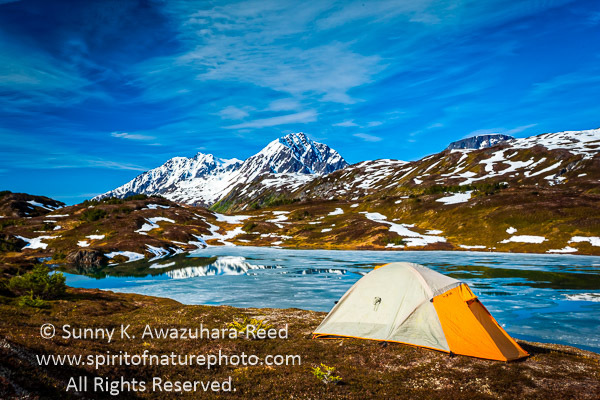 During the summer of 2015, I spent more time in the South Central Alaskan wilderness, an area near Anchorage. 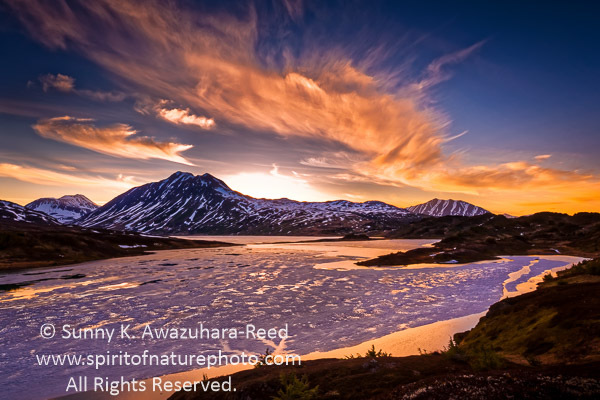 Anchorage is surrounded by beautiful yet true wild Chugach Mountains with numerous lakes and streams. The past summer started a month early with beautiful weather and plenty of sunshine! 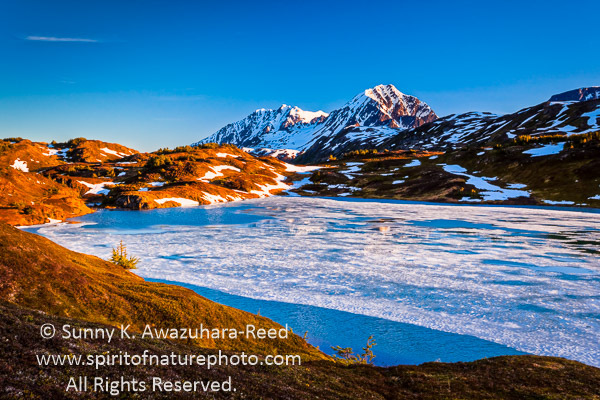 The Kenai Peninsula is one of my favorite places to explore and photograph its breathtaking landscapes. Unfortunately, the sun set behind the mountain before actually setting into the horizon, so I explored the area for the better spot along the lake... This image was from a little higher point. It was twilight for a few hour after sunset. 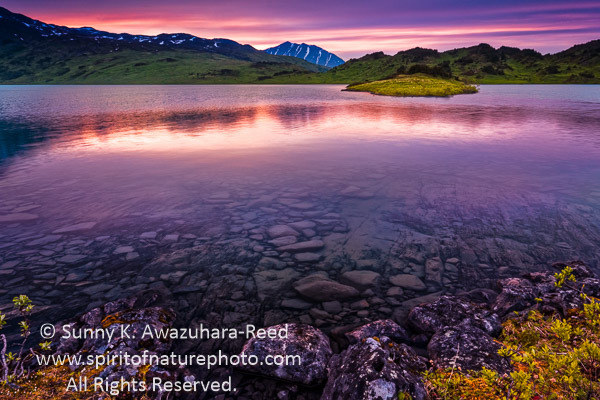 I love this long "purple time" during summer in Alaska. The next morning was beautiful again... The snow capped mountains and icy lake contrasted against a blue sky. Another sunset at a different point at Lost Lake. Since I loved the stunning scenery of Lost Lake and its surroundings, I returned a few weeks later... Since the lake shore was complex, each vantage point revealed very different vistas! Amazing magenta colors appeared at the western sky after half hour past sunset! I had already packed up my camera and was back at camp at the time. 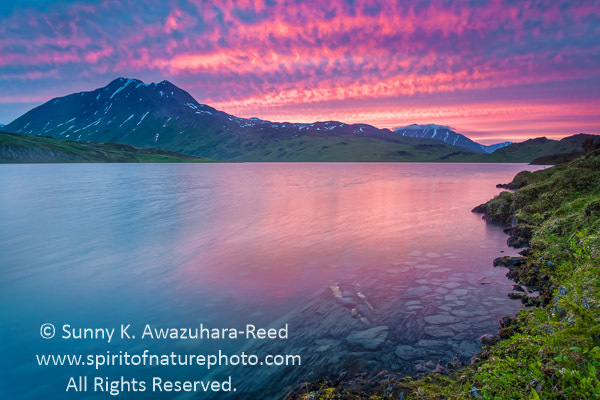 Slowly, the pastel pinks spread out among the overcast sky, and the colors changed to intense magenta! It was magic in an already darkened sky! I quickly set up the camera at the shore by my camp, and captured these beautiful colors. 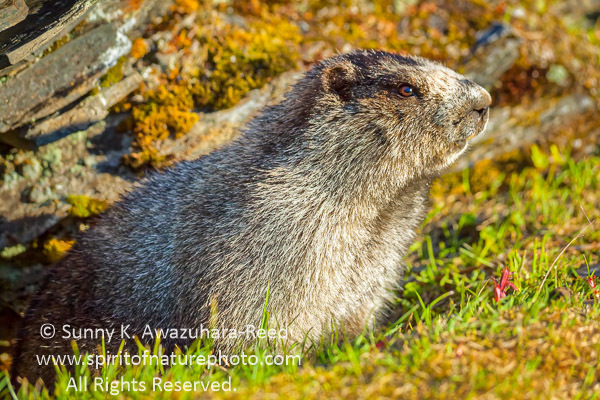 There is a huge marmot living along Lost Lake. Wildflowers are especially outstanding on the Kenai Peninsula. 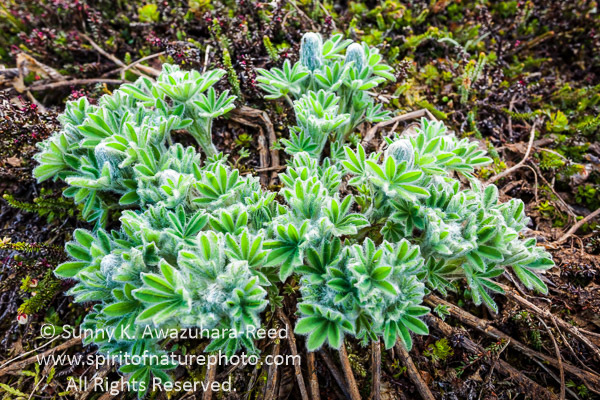 In higher elevations, Lupines were still in bud in mud June... Their small furry leaves look soft and delicate. 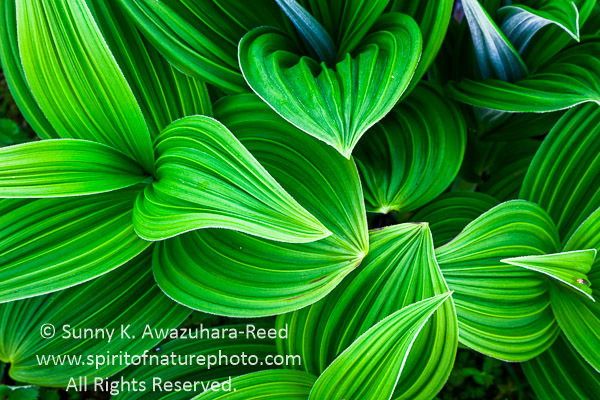 I am always fascinated by False Hellebore’s leave patterns... This is what I call nature's artwork. 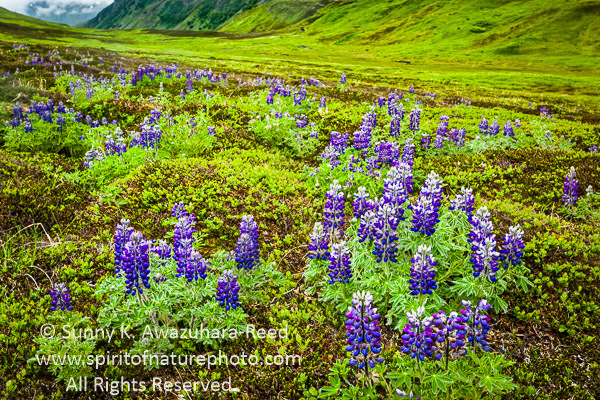 In early July, Lupines were blooming all over the Lost Lake area!